Kunigunde of Poland was the first-born daughter of King Wladyslaw I of Poland and Hedwig of Kalisz. However, her younger sister, Elizabeth is much more well-known than her. It is clear why Elizabeth is the more memorable sister; first of all, she was a queen and lived much longer. Even though there is not much to say about Kunigunde, she deserves to have a look taken at her life too. 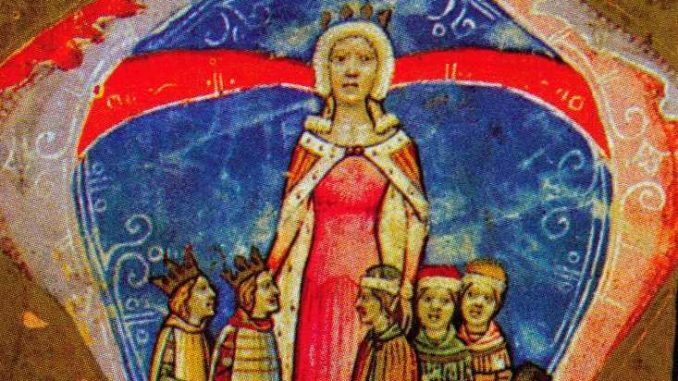 Kunigunde of Poland was born around 1295, probably as the first child of Wladyslaw, then Duke of Kuyavia and Hedwig of Kalisz. She was probably named for her great-aunt, St. Kinga of Poland. At the time of Kunigunde’s birth, Poland was a divided country, split between three branches of the Piast dynasty-Greater Poland, Masovia, and Silesia. Kunigunde’s father was from the Masovian branch, her mother from the Greater Poland branch. After the extinction of the male lineage of the Greater Poland branch in 1296, Wladyslaw, as the husband of a Greater Poland princess, had his eyes on the Polish throne. Wladyslaw was not the only one fighting for the throne. He was defeated by his enemies in 1299 and fled into exile. 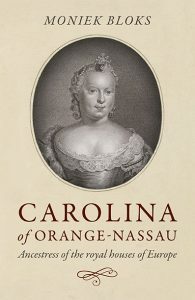 By this time, Kunigunde had gained two younger brothers, Stephen and Wladyslaw. Kunigunde, her brothers, and her mother stayed behind. To protect herself and her family from their enemies, Hedwig hid with her three children in the town of Radziejow, disguised as ordinary townspeople. They lived this way until Wladyslaw returned in 1304. Because of this, Kunigunde must have experienced a very different childhood than most girls of her rank. After Kunigunde’s father returned, she gained three new siblings, Elizabeth, Hedwig, and Casimir. Of Wladyslaw and Hedwig of Kalisz’s six children, only Kunigunde, Elizabeth, and Casimir lived to adulthood. Wladyslaw wanted to ally with the Silesian branch of the Piasts. Many Silesian princes supported the King of Bohemia, but some supported Wladyslaw. One of these princes was Bernard, Duke of Swidnica. Kunigunde married Bernard around 1310, the same year her brother Casimir was born. This marriage strengthened Wladyslaw’s control over Silesia. Wladyslaw was crowned as king of Poland in January 1320. Kunigunde and Bernard had at least five children: two sons, Bolko and Henry, and three daughters, Constance, Elizabeth, and Beata. Between 1324 and 1235, the two older daughters were married to Silesian princes: Constance to Przemko II, Duke of Glogow, and Elizabeth to Bolko II, Duke of Opole. Bernard died on 6 May 1326. Since his two sons were still under-aged, Kunigunde acted as regent for them. Not many details are available on her regency, but she was known to issue documents. It was common for widowed Silesian duchesses to rule after their husband’s deaths. Kunigude’s daughter Constance also ruled part of her husband’s duchy after his death, even though they had no children. Kunigunde held the regency in Swidnica at least until 10 August 1328. Probably the next year, her oldest son Bolko reached his majority, and Kunigunde married again. Her second husband was Rudolf I, Duke of Saxe-Wittenburg. She took her youngest daughter, Beata to Saxony with her. Kunigunde probably had no children by her second marriage. Previously it was thought that she had two children by Rudolf: a daughter Beatrice, who later married Albert II, Prince of Anhalt-Zerbst, and a son Mieszko. Beatrice, however, was from Rudolf’s first marriage to Jutta of Brandenburg, and Mieszko is now considered to be a fictitious figure. Kunigunde’s second marriage was short-lived. She died on 9 April of 1331 or 1333. The year 1333 is considered more likely. If so, Kunigunde would have outlived her father by just one month. Her youngest daughter, Beata, seems to have died soon after, unmarried. Kunigunde was buried in a Franciscan monastery in Wittenburg. Later measurements on her remains showed that she was a tall woman. Interestingly, her father and her son, Bolko, were both known to be of short stature. Unlike her younger siblings, Elizabeth and Casimir, Kunigunde has not made much of an impact on history. Her legacy lies mostly in her offspring. Her first son, Bolko was known to be the last independent Duke of Silesia. Her second son, Henry, was the father of Anna of Swidnica, the third wife of Holy Roman Emperor Charles IV. Their son was Wenceslaus, King of Bohemia and Germany.